Will Cuba Become the Caribbean’s Best Destination? 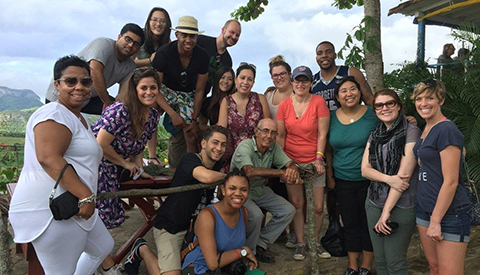 Don’t get them wrong: The all-inclusive, oceanside resort that Georgetown University Hospitality students visited during their recent trip to Cuba was wonderful, and all anyone could ask of … an all-inclusive, oceanside resort. Indeed, the real Cuba is different—unique, really—and it is this very exceptionality that could make it one of the most exciting new vacation destinations for Americans in the coming years. A roadside scene in Pinar del Rio, Cuba. Tourism is still officially off limits for U.S. citizens. “You aren’t allowed to just go and sit on the beach as an American citizen,” Shealy said. 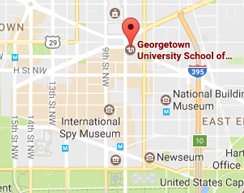 But educational tours are among 12 permitted categories of travel by the U.S. government. When they arrived on the island in late October, the students encountered a unique cultural ecosystem, frozen in time. Beautifully restored American cars from the 1950s share the roads with clunky Soviet-era vehicles and buses shipped from China. Much of Havana has an otherworldly “European” feel—albeit a Europe where many of the graceful buildings are crumbling. Music pours from apartments in Old Havana; people sometimes dance in the streets. Shealy, who has traveled throughout the world, called it “the most artistic city” he has ever seen. Students tour a local farm and paladar with the ecologist-proprietor at Finca Agroecologica El Paraiso in Viñales, Cuba. It’s that sense of charm and authenticity that Cuban officials are determined to preserve, said Nelson Pimentel, a GHL student from the Dominican Republic who works as the Head Butler for the St. Regis Hotel in Washington, D.C.
Those sentiments could mesh nicely with new generations of American tourists eager to experience the true cultures of the places they visit. In Cuba, that means eschewing the government-run restaurants with their canned vegetables and Soviet-era sensibilities, and sampling the many excellent privately-run paladars, some on the top floors of homes and apartment buildings. 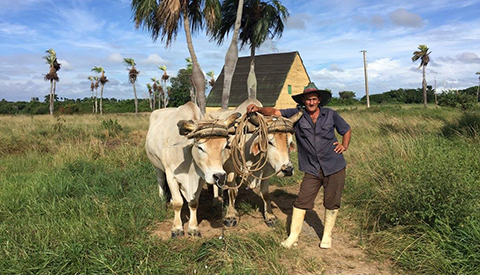 “Farm-to-table” dining might be a fashionable trend in the United States; in Cuba, it’s a necessity and a way of life. “If Cuba were able to modernize and still retain that authenticity, it would retain that brand cachet and become an even bigger draw,” Shealy said. 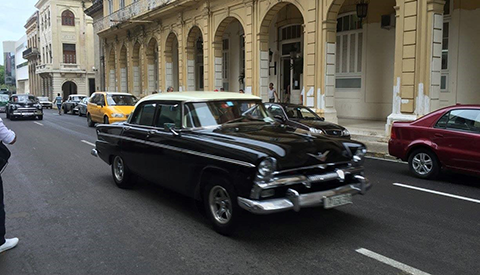 A 1950s-era automobile—a common sighting—in Velha Havana, Cuba. But there are many complications. The Cuban economy is in the midst of a severe recession, caused in part by the economic implosion of Venezuela, its major oil patron. The island’s population is aging, and the government of Raul Castro, the younger brother of the late Fidel, who died November 25, is an undemocratic gerontocracy. Finally, there is uncertainty over the kind of policies Donald Trump will pursue as president. As the New York Times noted, during the campaign Trump was sharply critical of the “concessions” Obama has granted Cuba. That suggests a President Trump might roll back those agreements. On the other hand, Trump’s business background might deter him from scuttling policies that have enabled U.S. firms such as Marriott and Airbnb to do business there. These are big, difficult questions. 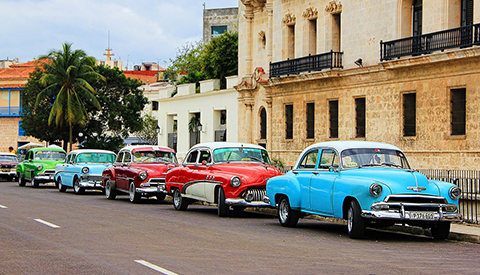 But if they were resolved, Cuba could be poised for an unprecedented travel renaissance.